We have added online ordering to this location!!!! We now have to rewards program. Just download the app Beef O Brady''''s rewards and start earning points. Every dollar is a point and every 200 points gets you $10 off. Plus bonus gifts through out the year. Citrus Park, want restaurant specials? At Beef ‘O’ Brady’s in Tampa we serve up three delicious restaurant food deals to start your week off right including Burger Mondays, Tacos on Tuesday and Wing Wednesdays, Eat a Fajita Thursday and Surf & Turf Friday. 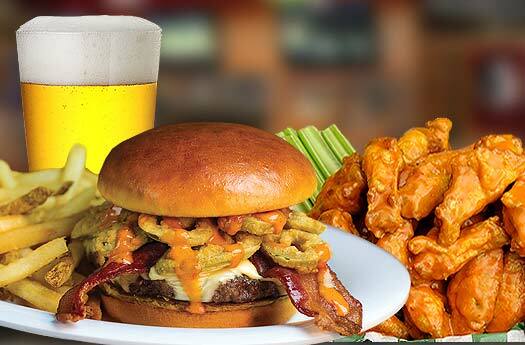 Beef ‘O’ Brady’s Citrus Park, Tampa To Go menu includes our entire line-up from shareable appetizers and wings to baskets, wraps and desserts, perfect for game time or family time.